People think that healthy recipes are always tasteless and difficult, but that’s not at all true. By the end of this blog, I hope you will change this perception. Healthy recipes can be really easy & tasty too. 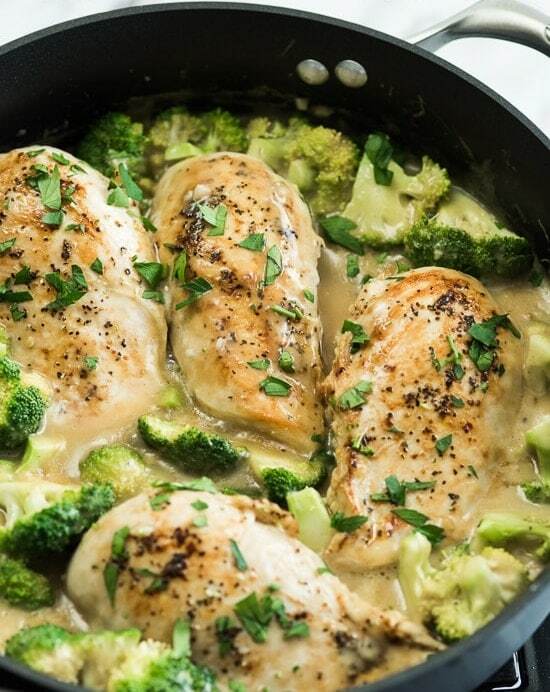 We at Tasted Recipes have curated made some easy, low on carb, tasty & healthy recipes for dinner, lunch and breakfast from our kitchen as well the internet to give you a collection of those recipes that will help you easily reach your health goals. Taking healthy food gives your body all sorts of antioxidants, protein & energy which not only helps you in losing weight but also help you grow old slowly. Heart health and stroke prevention. The health of the next generation. Avoid a lot of sugar & carbs in your food. That’s the beginning journey of your body and health transformation. Look for food substitutes which are tasty also and soothing to your foodaholic mood. Since the morning you wake up, the first thing you should do is to drink water and then take your breakfast. Make the most out of it & be choosey in your food. So, let’s begin the count down to the 50 tasty & healthy recipes for breakfast, lunch & dinner. Click images for full view recipes. Multi-Grain dosa is a healthy South Indian recipe which is made of 4 grains – moong dal, toor dal, horse gram & black gram dal. It is the best breakfast choice for your kids in the house. 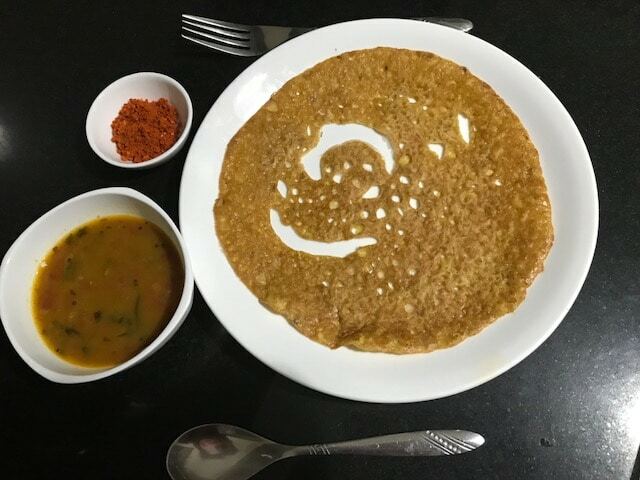 Multi-Grain dosa contains beneficial enzymes, vitamin- b, Omega-3 fatty acids, and various strains of probiotics that are really good for your health. French Scrambled egg is an easy breakfast recipe. You can just make it in less than 10 minutes. If you have no time in making your breakfast then you can just go for this amazing egg recipe. It is a very healthy and proteinaceous meal for a day. Good for everyone; working people, kids & teens. Very much helpful for growing kids. Sharpens brain and provides strength. 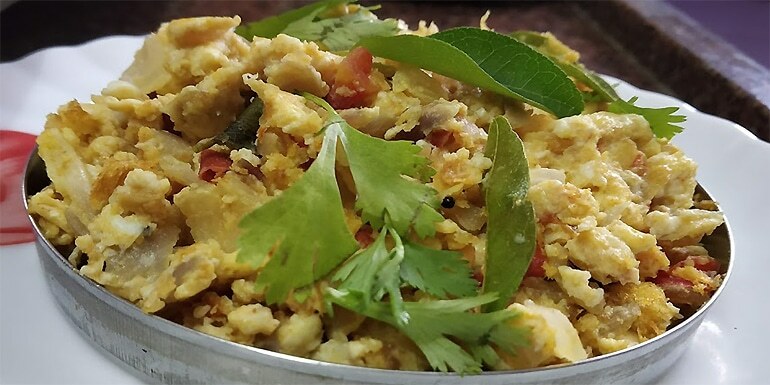 It’s a south Indian version of french scrambled egg recipe. You can serve it with rice, chapati or sandwich items. You can also make this dish for pre-workout food to boost your energy. Good for gym freaks, women & elders in house. A poached egg is a simple recipe with lots of fun to make it. It is complete kids friendly. Prepared in minutes & healthy breakfast option. Garnish it with black pepper & enjoy the taste. You don’t need bread or salad, just one of the bite makes your brunch special. 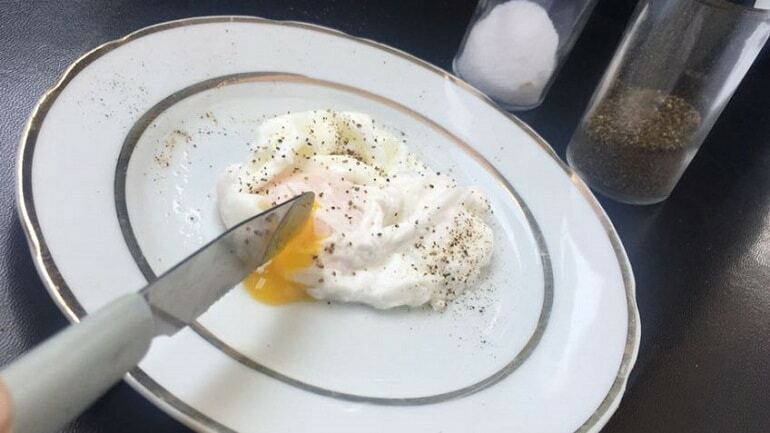 It is a very healthy form of eating the Poached egg. It has no added masala or oil. Eggs are a great source of energy, thus good for gym people & kids for their whole day energy. Egg Stumbler is the most effortless breakfast, tidbit, and lunch box formula that you should attempt. Only another Chinese makeover to your ordinary scramble egg. It requires 15 minutes to make & an extraordinary brunch is ready. Egg with anything is extremely incredible. It is one of the healthy and delicious breakfast we can say that. When it comes to breakfast, eggs are always at our top list. But eating similar egg all week makes you feel bored. Give a healthy change to your regular breakfast. 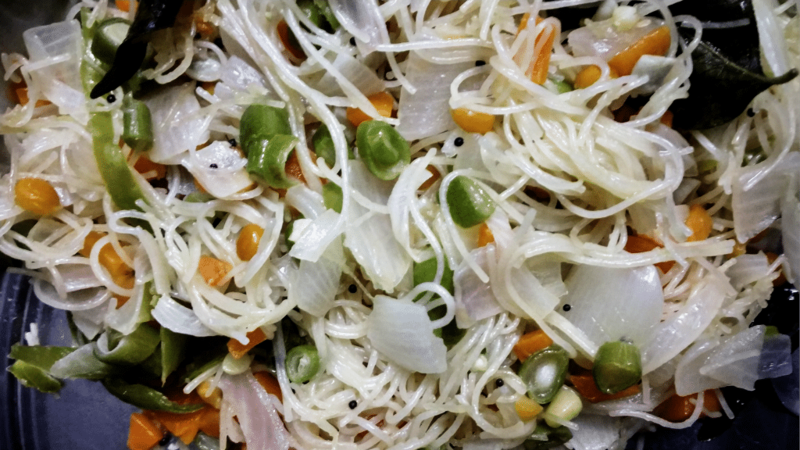 Vermicelli Upma recipe is a simple and easy south Indian style breakfast recipe. We can prepare this with or without vegetables. It’s a light recipe that is easy to digest. 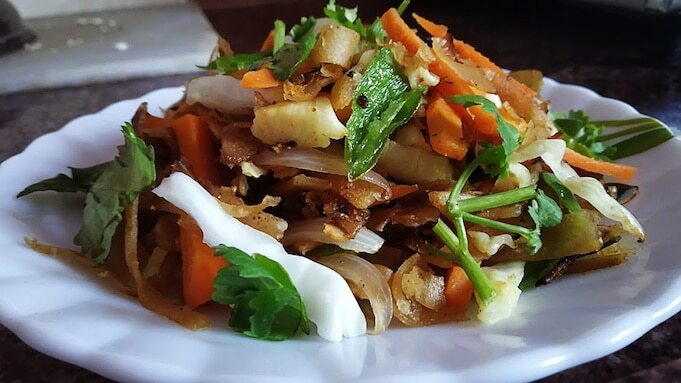 You can use Vermicelli for healthy quotient in the recipe. Moreover, you can have this as evening snacks with Tea and you can prepare with roasted semolina (rava) too. Low-carb, gluten-free and very easy to make. Good for obese people above 40 age group. Make this evergreen South Indian Fluffy Idly. 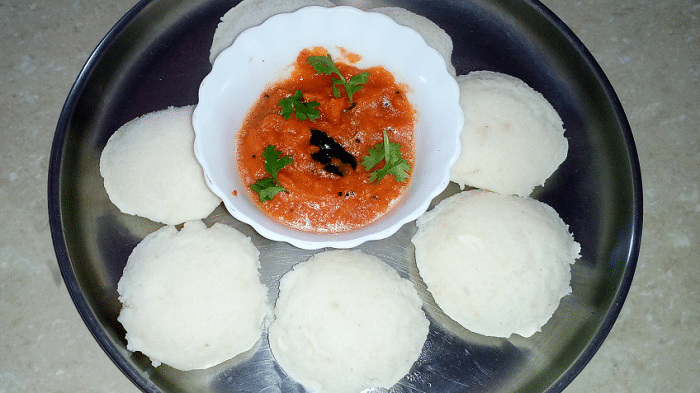 There is nothing better than having Idly in breakfast. This has yummy taste & also it makes your day go bling. Idly has always received love from so many people and therefore we encourage you towards having your breakfast in the most healthy form. It takes very less time to digest. Serve it with Indian Sambhar for extra protein. Good for all ages. 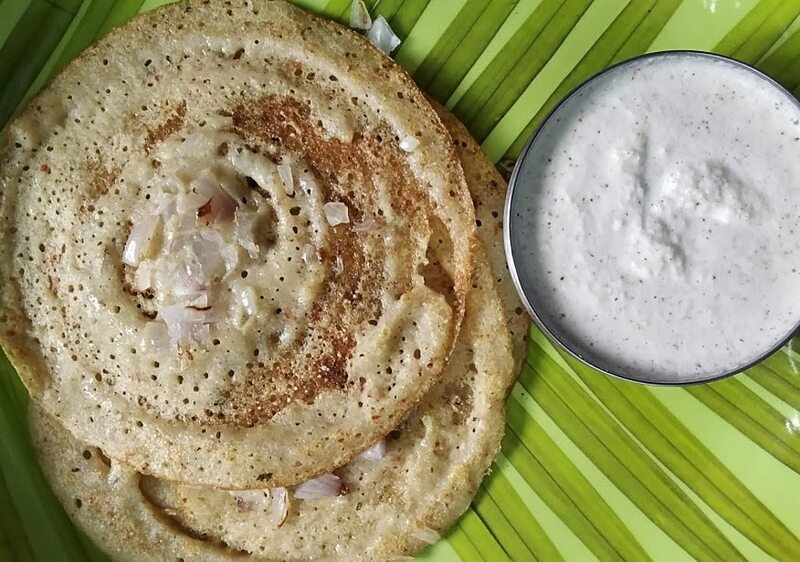 Jain Jowar Dosa a simple to make, a solid and nutritious formula for morning breakfast or a night nibble. Jower is high in fiber content, gluten-free which is wealthy in protein, minerals, and nutrients. Good for diabetic individuals since it is a starch that gets processed gradually and displays an increasingly slow addition in glucose. 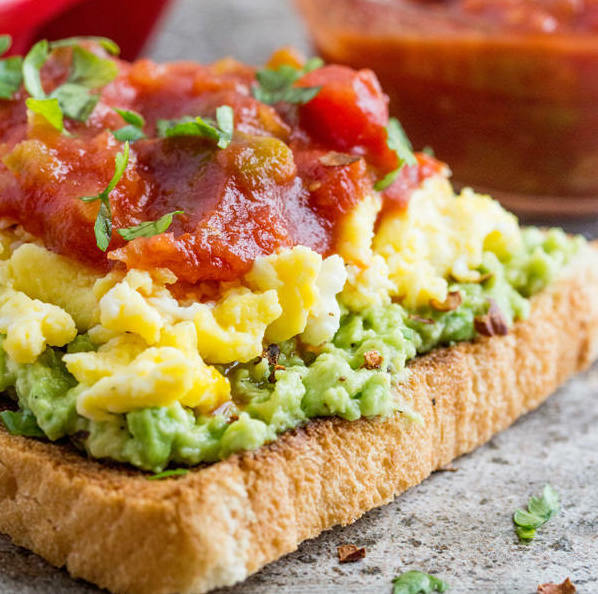 Southwest Avocado toast has eggs & salsa kicking it up to the notch. It is delicious & one of the favorite recipe for all. You get completely three layers to eat & it has an amazing different taste. Basically, it is a recipe of two cuisines: American & Mexican. Avocado offers 20 vitamins and minerals which is very good for your eyes and also beneficial to the pregnant ladies. It is the healthiest 6-ingredient recipe to make in less than 30 minutes. It is vegan, gluten-free & refined-sugar-free for all eaters at home. This is the recipe for those who want to do fewer efforts in the morning for breakfast and get all the nutrition as well. You can eat it with a number of options like with yogurt on the top or milk or as an individual snack. 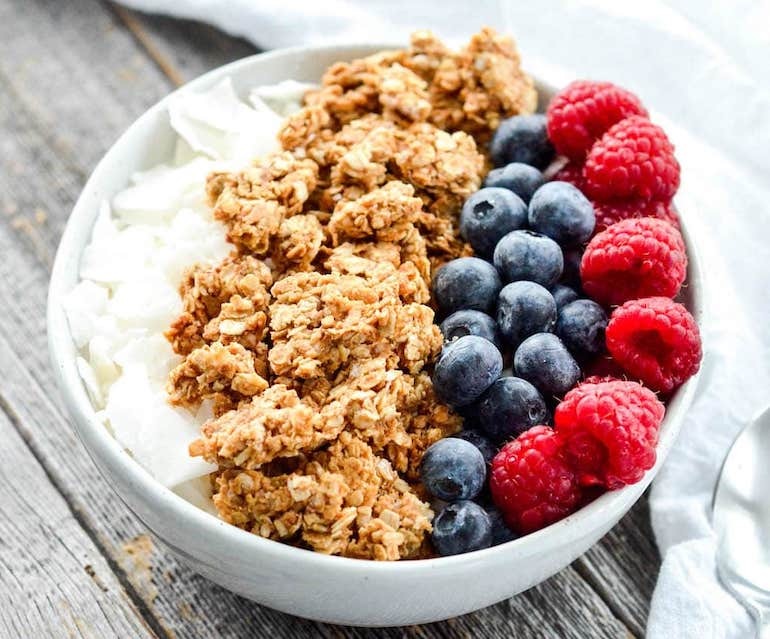 Granola helps you smoother your digestion, promote weight-loss & improves your energy level. Good for pregnant women, working women and people who are on diet. 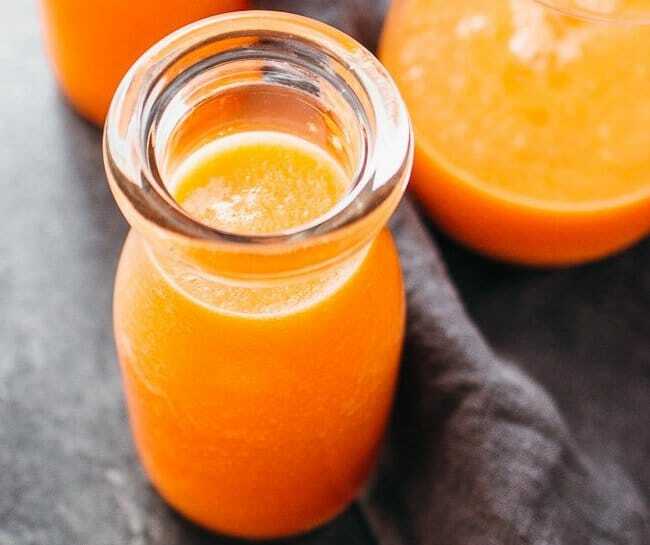 This pineapple smoothie is mixed with carrots and crisp organic product, slashed pineapples and bananas. This is the perfect breakfast drink in case you’re searching for a solid and vegetarian smoothie as brunch drink. It helps you boost your immunity level & protects you with antioxidants. And it is good for your bones too. Good for women & teens. 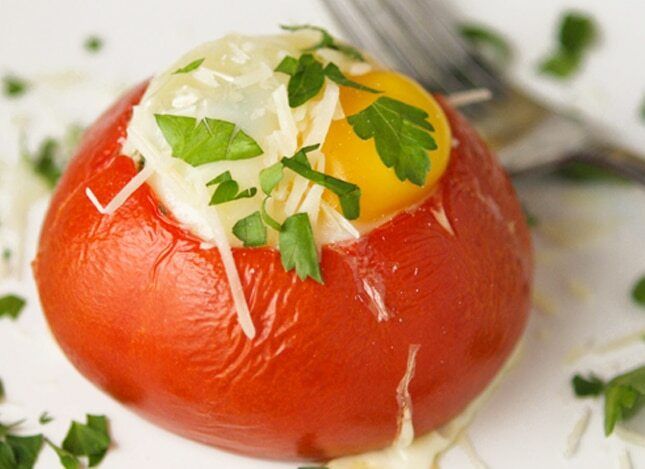 These delicious stuffed tomatoes look really great. Stuffed tomatoes are a good recipe during a keto diet. The taste is tangy, creamy and soothing. Vegetable and egg provide you with all the necessary nutrients like protein, vitamin C & potassium. Good for kids & teens. A perfect recipe to transform banana into something really awesome. If you are the biggest banana fan then you will love this recipe. 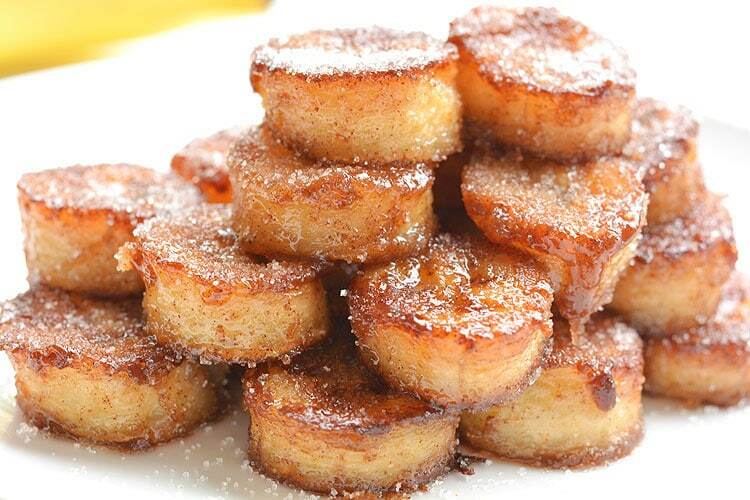 Banana gets softer when you fry it with honey. Banana is high in fiber & it is a powerhouse of the nutrients. Good for kids and men. 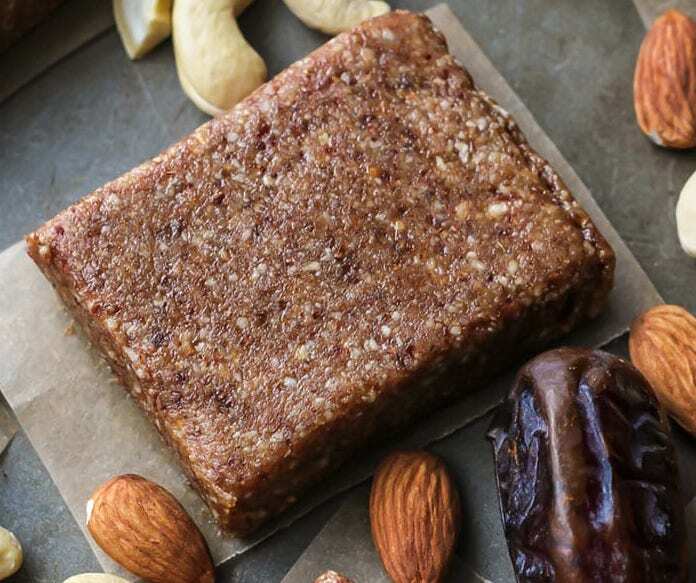 These homemade protein bars are easy to make and full of nutrition. It has cashews, almonds, nuts & egg. It is one bar of all energy to make in less than 30 minutes. Protein bars boost your energy and provide your stomach relaxing food. You feel much better after eating this. Good for gym freaks & teens. Zesty Memoni Choley is an extremely time-saving & simple to make recipe. You simply require the chickpeas and some Indian flavors and there’s nothing more to it. Ideal decision for morning chickpea breakfast. Chickpeas help to build satiety, support assimilation, keep glucose levels stable, increment security against illness and the sky is the limit from there. It is good for people who are fasting. It encourages you to settle sugar levels and give required nutrient and proteins to the body. Chickpeas have been eaten for more than 7,500 years. Improves digestion and gives energy. Good for people of all ages. Get your straw into this amazing high protein base amazing shake on the planet. This morning shake has a banana which gives you a dose of potassium & some other fiber and minerals. Some amount of protein powder is also there to give you high energy. The important ingredient here is Kale which calls as a superfood on the planet. This is a super shake to feel the bliss in the morning. 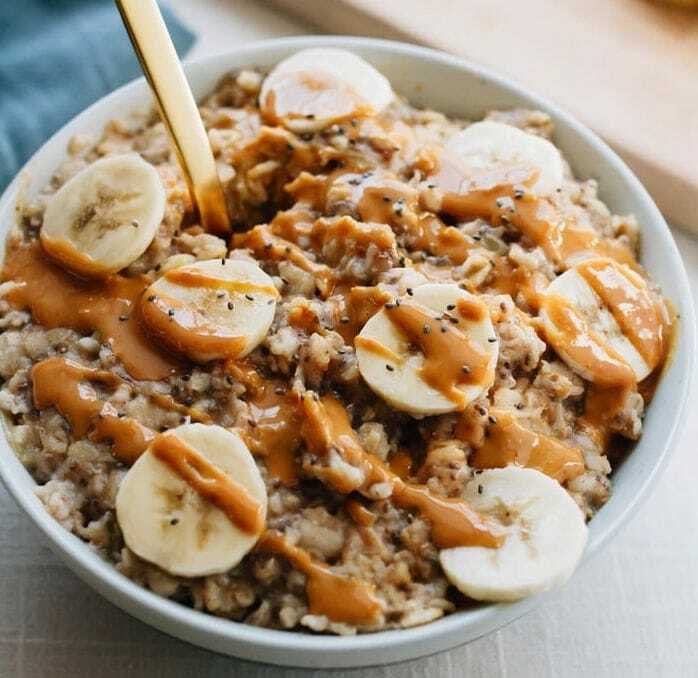 Peanut Butter Banana Chia Oatmeal is a voluminous, protein and fiber source meal for your breakfast. This breakfast has around 365 calories, 1 gram of protein and 17 grams of fiber. From breakfast to afternoon, your tummy will be full and you will feel extra energy all day. 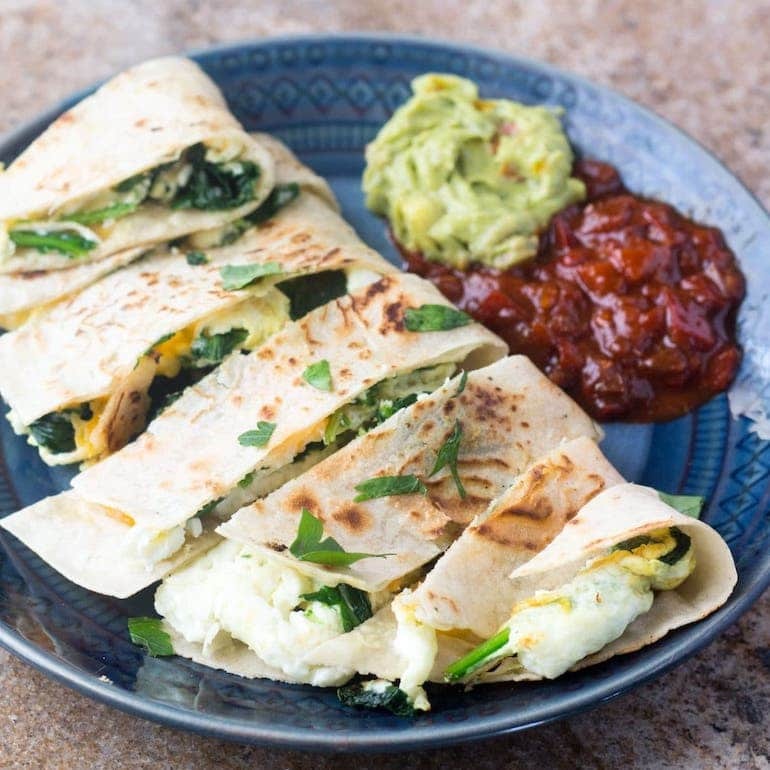 This is gluten free egg white & spinach quesadilla – a healthy and nice idea for your morning breakfast. 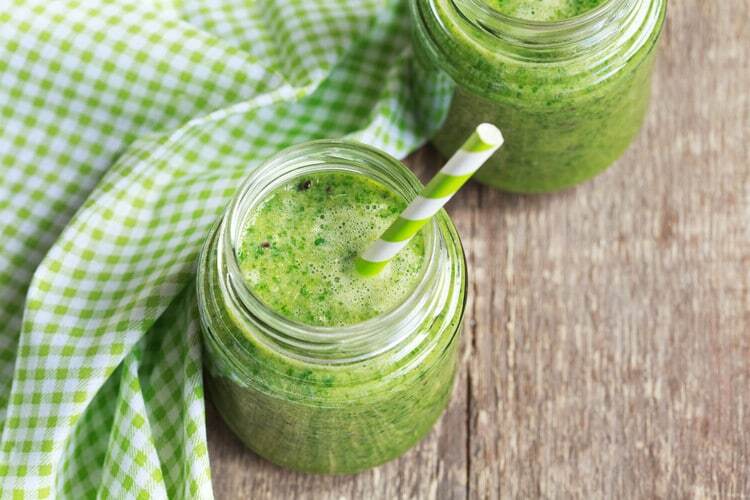 You will love it because it has egg white and spinach which is a good source of protein and antioxidants. Good for the gym goers and adults. Make your quesadilla and share your recipe pictures with us in comments. Making cookies for a light breakfast is always fun and homemade cookies are the yummiest ones. 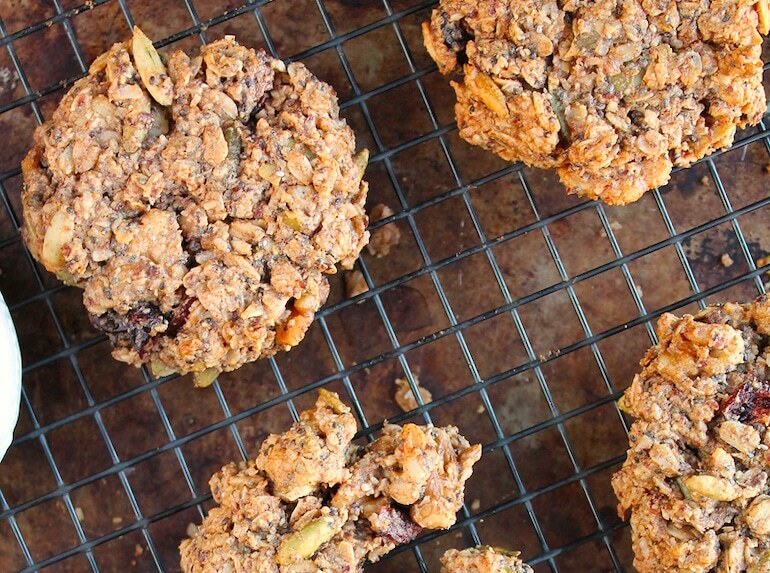 you will enjoy the taste of these gluten-free cookies and will fill your tummy for hours. Your kids will totally love it & also it is a nutritious idea to keep them healthy and energized for the day. 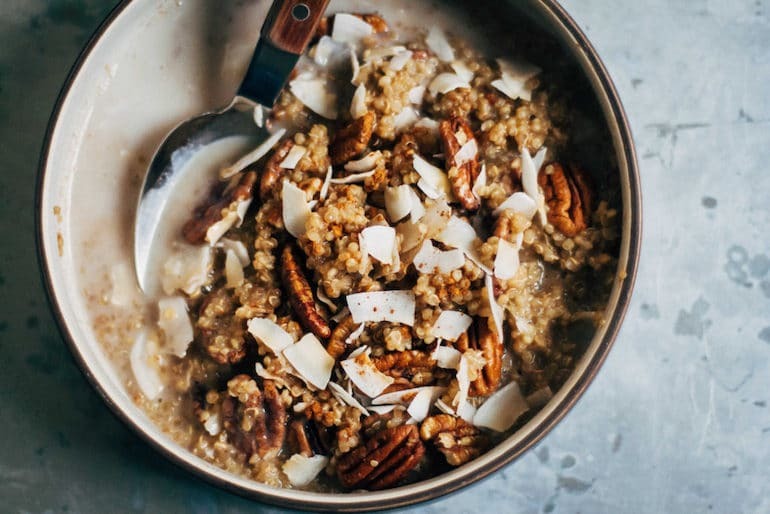 Vegan Chai Breakfast Quinoa is cooked in unsweetened almond milk steeped with chai tea, then topped with pecans and coconut for protein and a little cinnamon for flavor. The quinoa can be presented with an increasingly warmed almond drain or even this homemade pecan + walnut drain! It’s low-glycemic, nutritious, and a delectable breakfast the adults will love. Sambar rice is a customary South Indian dish. It is a wonderful one-pot lunch recipe. This supplement is a rich supper for developing children. It is an attractive yellowish dish with a mixture of dal & rice. This sambar is full of healthy vegetables like drumstick, beetroot & potato. A full of protein rich recipe. Good for adults as it provides extra strength in their body. 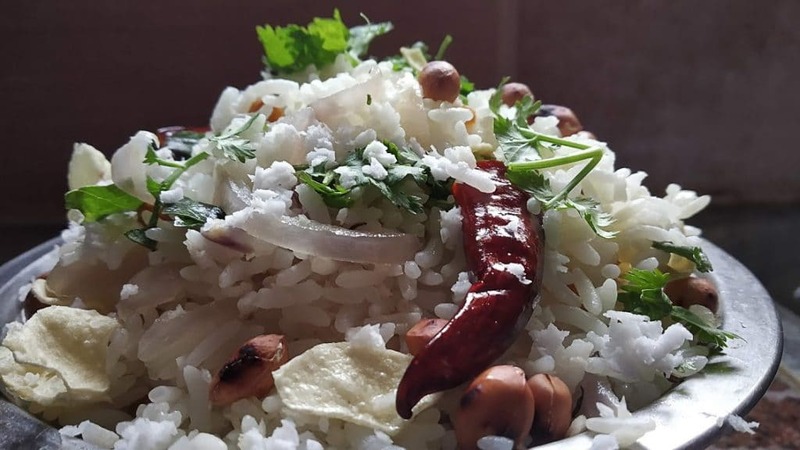 Pudhina rice is an invigorating and delectable recipe. It makes your tongue flow in full of taste. Pudhina rice is the ideal decision for you. It has all the zest of healthy flavors to make your mood swing. If you add boiled eggs to it, it’s gonna taste ultimate delicious. Pudhina is very healthy. It aids in digestion, helps to treat Asthma, aids weight loss, improves brain power, and refreshes your skin. Good for kids and women of all ages. Chapati Ribbon Noodles Recipe is a basic and eye pulling recipe. It’s an extraordinary plan to reuse your leftover chapati. You can complement this dish with different vegetables which will add another level of the healthy layer. Rich in carbs and vitamins, this recipe is good for women and kids. 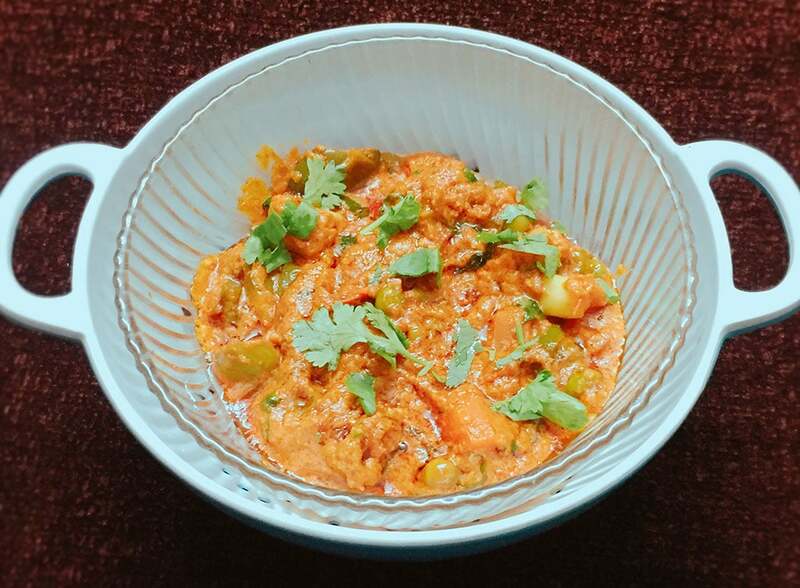 Veg Makhanwala is an absolutely delectable Indian curry made with veggies, spread, cream, and fragrant Indian flavors. A North-Indian dish that will doubtlessly hypnotize you and take your taste buds to another stature. A Special Veg Dish for Special Occasions and Special Guests. Tastes nice with roti or chapati at home. The paneer plays a major part in the recipe and is very healthy for especially for the dry skin. Great for weight gainers and growing children of ages between 11-18 as it is filled with veggies. 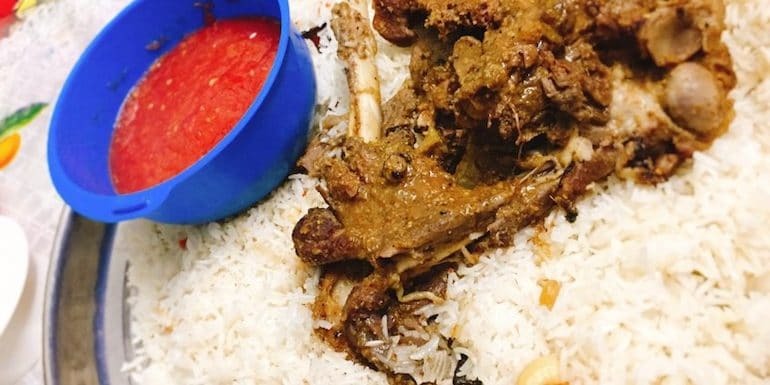 Mutton Mandi is a conventional Arabic meat and rice dish with its origin expected to be Yemen. It is made all over the Middle East. The blend of delicate meat with fragrant rice alongside the Arabic style Tomato Chutney will take you on a tour to Arab lands. The meat here is boiled and roasted and thus doesn’t contain much of oily stuff. A rescuer to those who are struggling to gain weight. Meat is a rich source of protein too and can be great for growing teen especially of 13-18 age group. 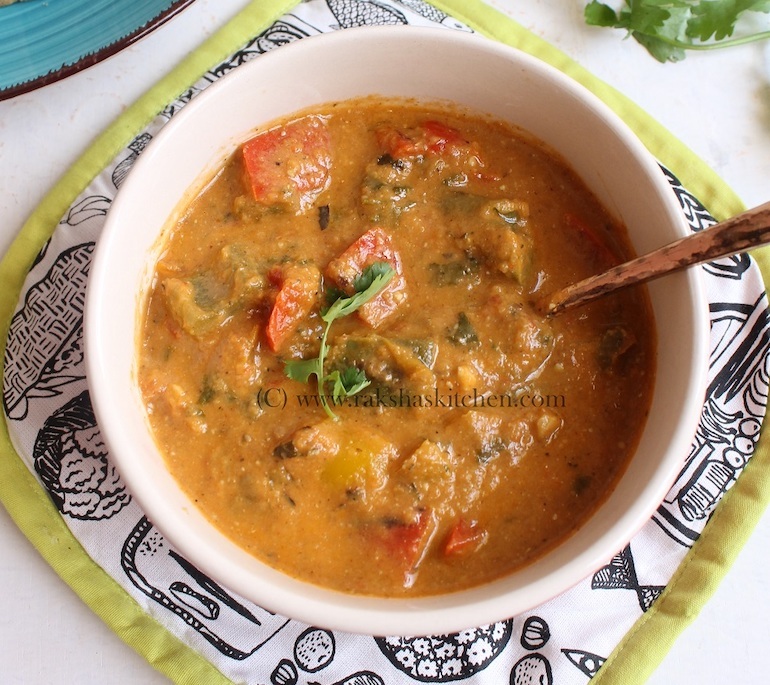 Tawa Kaleji Gurda Masala is a simple and yummy recipe that will clearly knock your socks off. It is made at home ingredients and prepares in only 15-20 minutes. The liver has a high concentration of vitamin B12. It helps you release your stress and anxiety and give a tone to your muscle. Good for gym freaks, teens & adults. Carrot-Beans Poriyal Recipe is a mainstream South Indian style scrumptious dish. It is full of vegetables and easy on your stomach. Carrots consist of Vitamin A, C & iron. Carrots are a powerhouse of fiber, potassium & have a very low amount of carbohydrates. Whereas, green beans are a good source of fiber, vitamin & minerals. It has an impressive amount of antioxidents. This recipe is good for people with cardiovascular problems and also good for the eyes. Also good for diabetic people. 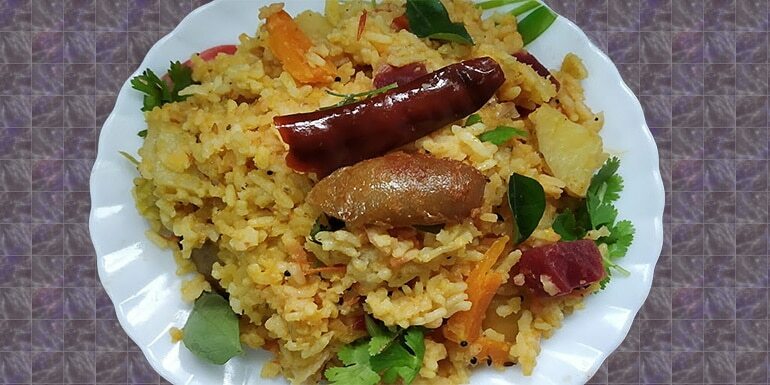 Lemon rice is tangy & spicy combination rice which is south Indian recipe. 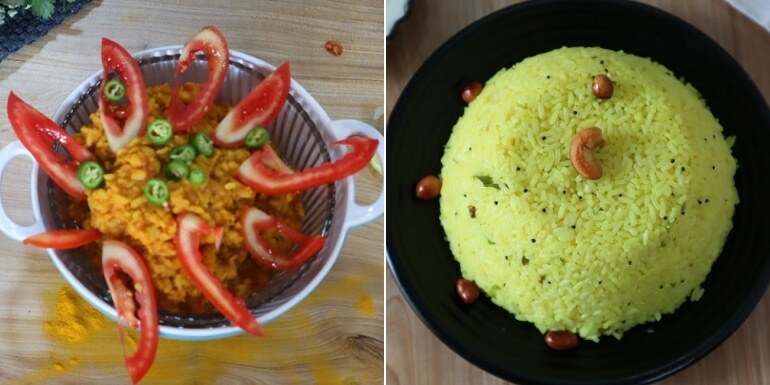 Every day in lunch, you need new flavors apart from just having simple dal & rice. You can go for this dish. You can serve it with yogurt & enjoy the aroma of it. The rice is really fun to eat. Garnish it with peanuts & cilantro. It is good for your mood swing & gives you natural fitness. Good for all ages. We can say it is loved by all family members. 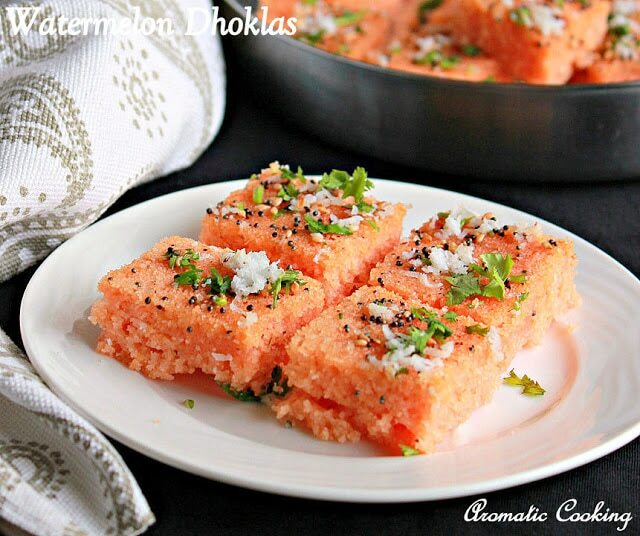 Watermelon Dhokla is really one nice item for lunchtime. It is a combination of a lot of interesting ingredients & gives you a tangy, sweet & spicy flavor altogether. Watermelon is really good for you when you want to lose weight, benefit your skin or strengthen your immune system. It has lots of Vitamin C.
Good for pregnant women, kids & adults to refresh their mood and make mind stable & healthy. 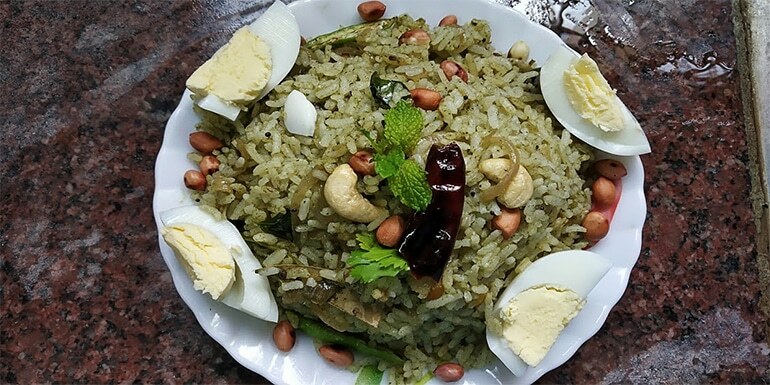 Coconut rice is a mild and aromatic south Indian recipe. You can prepare with either coconut milk or grated coconut. It is one of the basic south Indian food. You can use this recipe for lunch box for kids as well. Coconut has various health benefits. It is good for diabetic patients, anti-aging treats abdominal fats & boost your energy as well. Coconuts are high in dietary fibers that improve digestion. It improves heart health and prevents obesity. Additionally, it reduces sugar craving and is also an energy booster. Flavorful Dahi Baingan is a prevalent Veg Indian recipe made with eggplant, yogurt, and sweet-smelling Indian spices. Extremely Delicious yet simple to make with all at home accessible ingredients. Eggplant is really good for diabetic patient & really good for heart health. It helps you lower your blood pressure. Good for the anti-aging, cancer patient, skin & hair health. Desi Moong dal is an extra delicious recipe that you will really feel to eat even after your tummy is full. Tasty food does come really easy. Any bachelor at home can make this for lunch. Moong dal is so easy to digest because it is very light. Good for kids and elders. We are sure they will change their opinion about Moong dal that it can be so delicious. 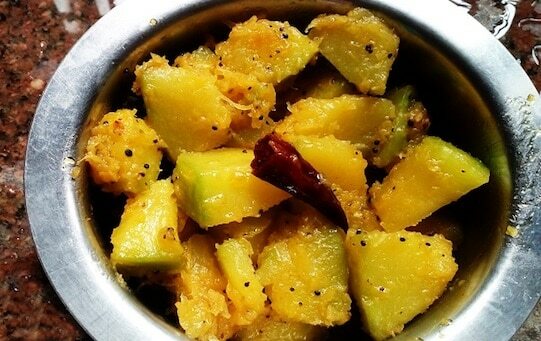 The yummy South Indian Pumpkin Fry is shallow fry recipe. 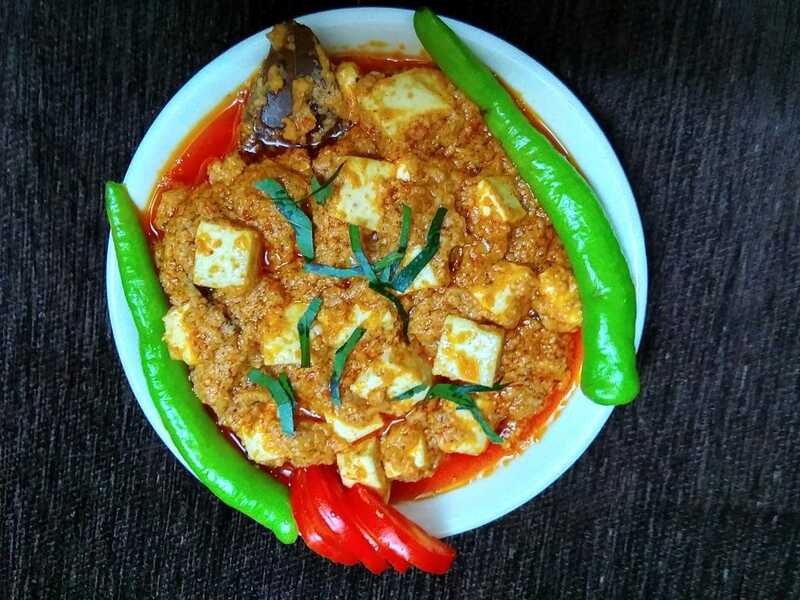 It is a colorful recipe with a spicy combination. You can have it raw or eat with roti or chapati. Pumpkin is highly nutritious and high in Vitamin A. It is good for heart health & for your eyes. Good for the cancer patient, heart diseases & skin problems. 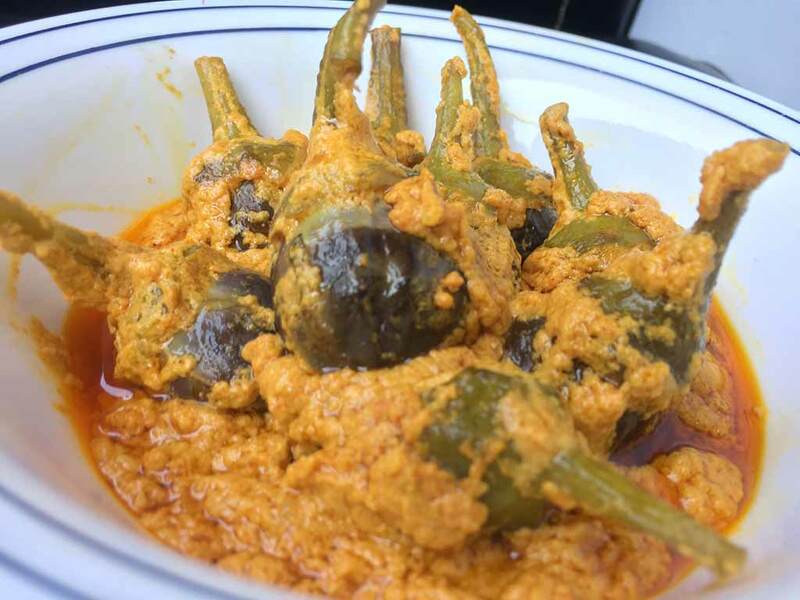 Capsicum curry is a delectable, rich and velvety vegetarian curry. This curry gives you tangy taste & lots of crunches. 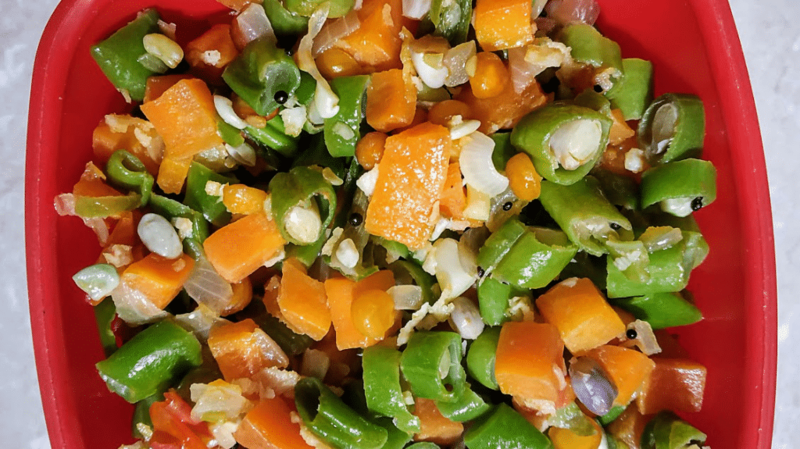 Make this curry with chime peppers of various hues and joy your visitors. We are sure your guest & family will love this curry made with capsicum. Do you know that capsicum is good for burning calories & cures an iron deficiency in your body? You heard it right. Ziti is basically a noodle type which is gluten-free & low on carb. 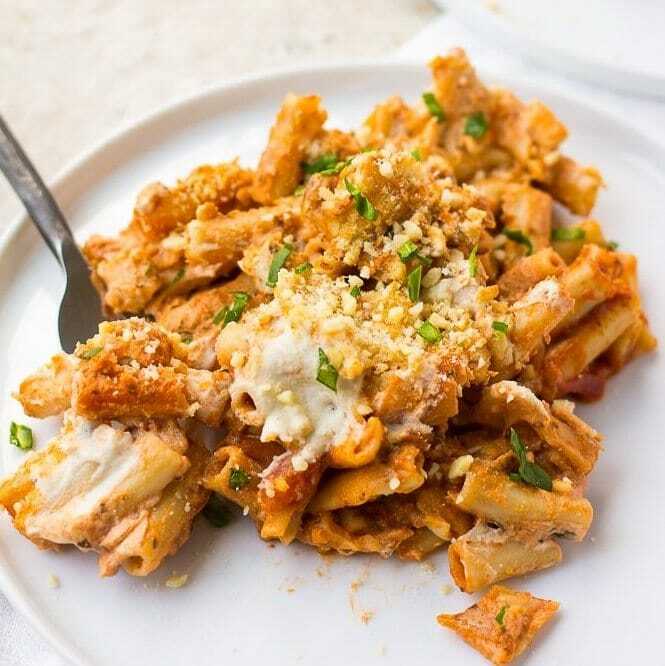 We can include this ziti noodle with cashew cheese recipe into a balanced meal of everything healthy & tasty. It has lots of silver points. 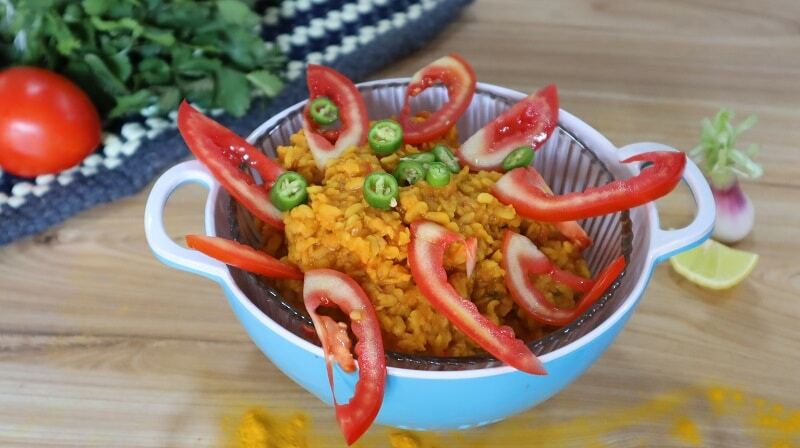 This is kid friendly & comfort food recipe with the goodness of tomato. Good for kids, teens, adults and all the people who need a balanced diet. 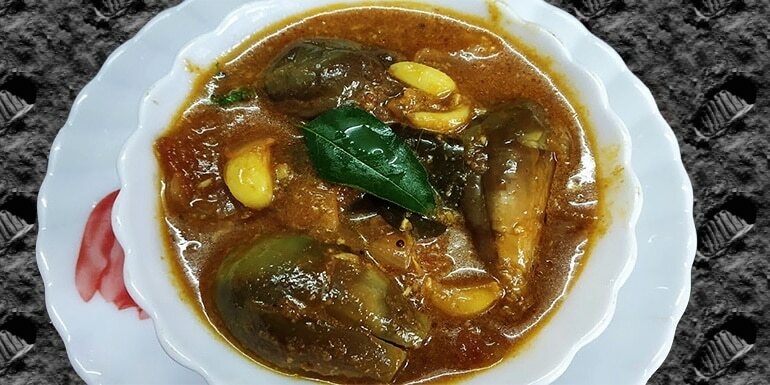 Brinjal gravy is evergreen yummy and awesome natively constructed style rich dish. In the standard cooking strategy, for the most part, we don’t utilize coconut. But here the method follows using coconut and it tastes so rich. It has the most nutrients in the recipe & it is an amazing recipe helpful for the weight loss purpose. Good for kids, teens, women, elders & of course gym freaks. 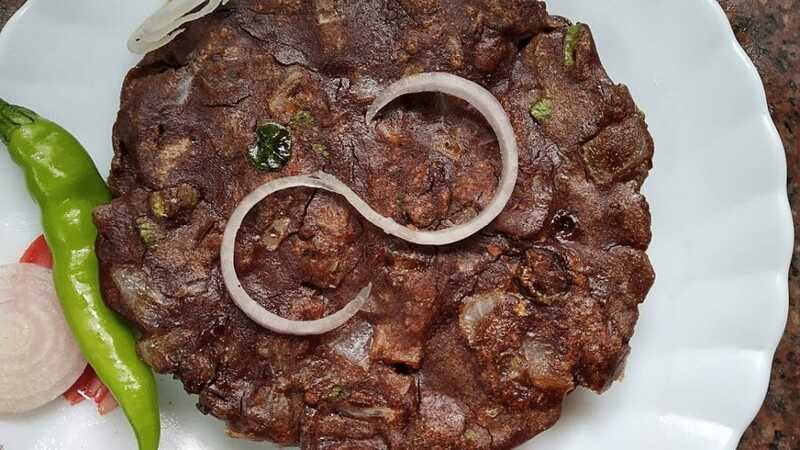 Ragi Adai is a solid and toothsome Indian style recipe. This looks like a pancake, and it tastes equalization of sweet and somewhat fiery with the amazing kind of onion, cold and moringa leaves. Ragi helps in natural weight loss, A proteinous, vegan and gluten-free source of Protein, a good baby food due to its rich nutrient contents and a rich source of Calcium. Shahi Paneer is a royal dish and it is very much popular in Northern India. It has a good source of protein & helps in preventing osteoporosis. 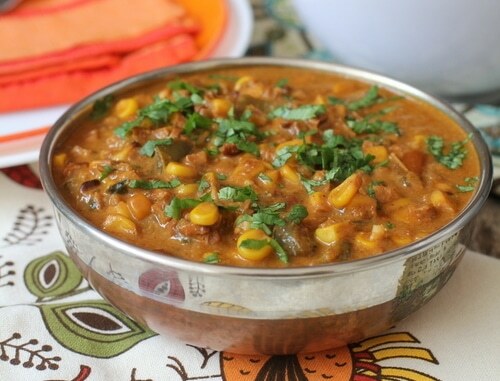 Sweet corn curry is a healthy and tasty recipe for vegans. Eating corns reduces the risk of Anemia. They are rich in Vitamins, folic acid, and iron. Helps red blood cells generation. Energy booster, a boon for weight gainers, nurtures healthy skin. Lowers Blood Sugar & Cholesterol Levels and also helpful to pregnant women to manage hormonal change. Sweet corn is greatly adored in our home and in all structures particularly charcoal simmered natural corn (butta) with a blend of salt, stew powder and lemon juice sprinkled over it. Corn has vitamin B12 & folic acid which produces red cells in your body. Good for women, teenage girls and adults. 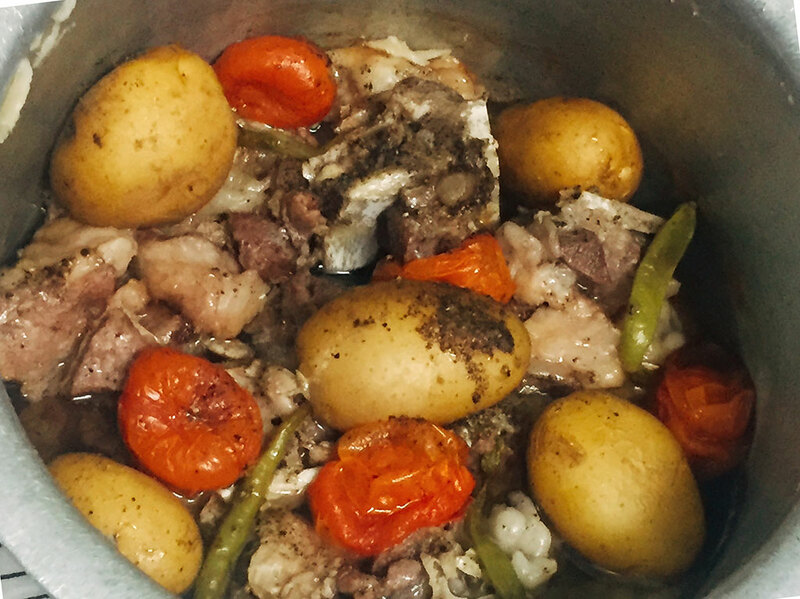 Afghani Dum Pukkt is slow cooked Afghani Mutton recipe. This recipe is very much suitable for elder members in the house. This recipe is a combination of many veggies & surely to win your heart. King Fish Shallow Fry is a mouth dissolving fish formula that will take you to the voyage through paradise. It is the best dish for the individuals who are fish lovers. A solid, proteinous, and magnificent taste that will doubtlessly knock your socks off. Good for kids and adults to fill their tummy with extra excitement and omega 3 fatty acids which is the least nutrient that people don’t get enough of. 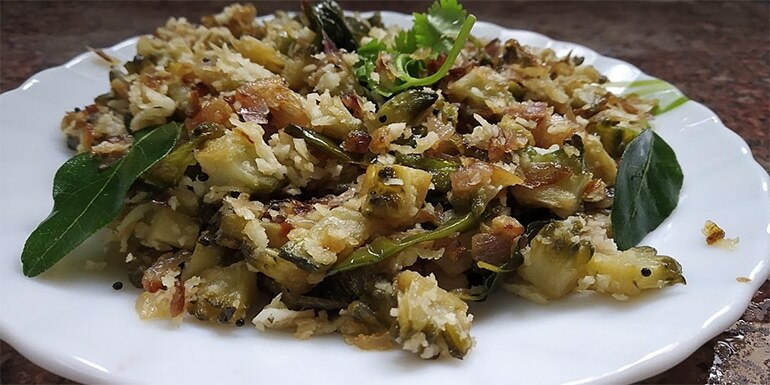 Bitter Gourd Poriyal with coconut is a wondrous and south Indian style recipe. Try this dish for really good health benefits. It helps you maintain your cholesterol level, makes your skin glow, strengthens your hair and moreover it’s great for eyes. Good for all ages especially for kids development. Heavenly Dahi Baingan is a prevalent Veg Indian dish made with eggplant, yogurt, and sweet-smelling Indian flavors. 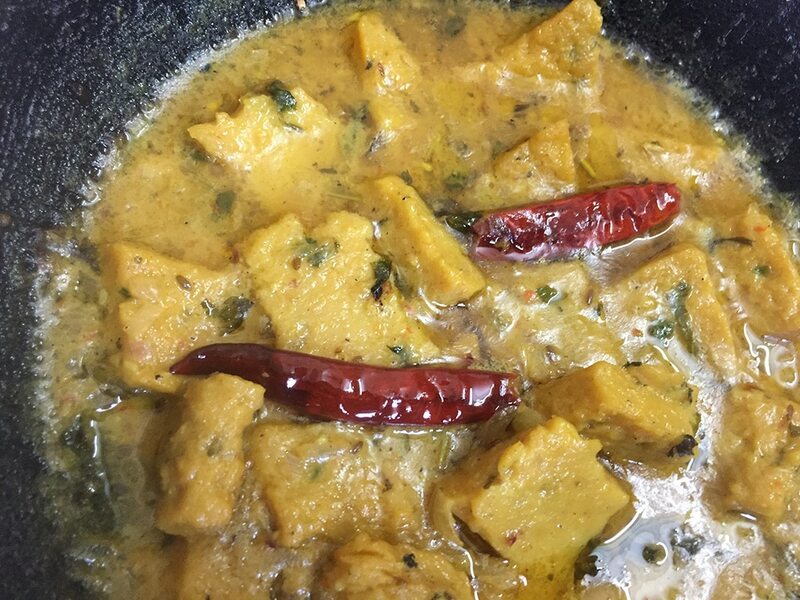 Perfect curry recipe for lunch you can eat it with chapathi. Exceptionally Delicious yet simple to make with all at home accessible ingredients. 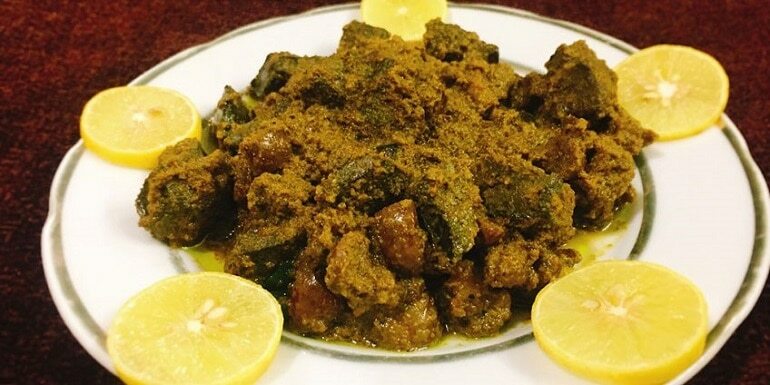 Baigan is the perfect choice in your diet food as it provides you with many nutrients. Good for teens and adults. The curd makes you refresh all day long. 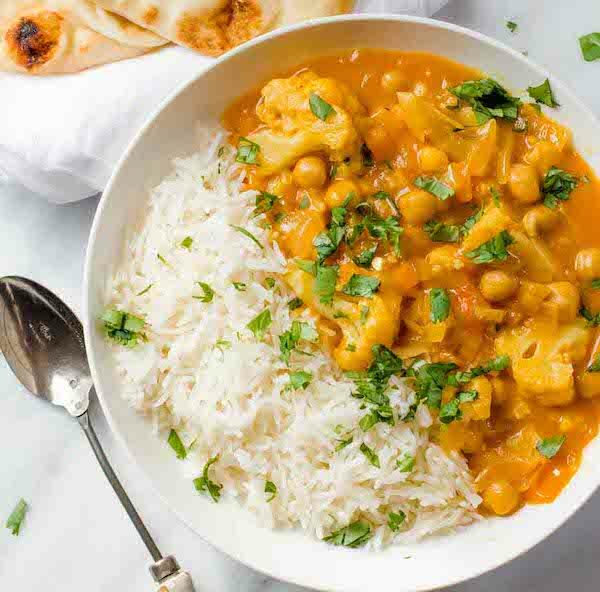 This Chickpea and Cauliflower Curry is pressed with extraordinary flavour, yet just takes around 20 minutes to meet up through only because of curry paste. Cauliflower has zero fat and actually is a versatile vegetable with which you can experiment with anything and same story for chickpea as well. Chickpeas are really higher in protein & fiber. Healthy for adults, pregnant women & working people. This food gives you enough source of energy to be active all day long. Lifafa Paratha is the paratha, which is in an envelope shape. The most amazing stuffing is paneer. 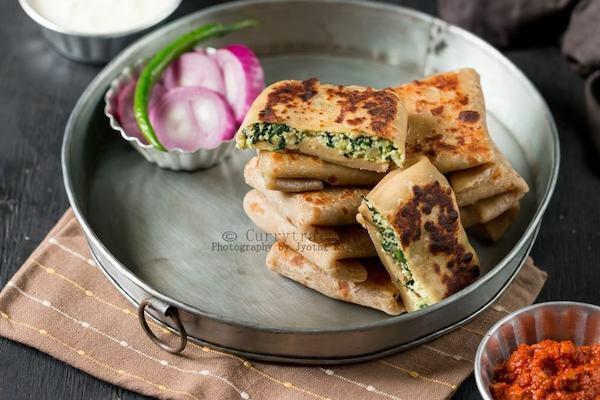 Paneer and spinach encased inside entire wheat flour rotis make this dish a healthy and nutritious. Paneer is low-fat dairy food that is always a great option for low-carb dinners. Whereas Spinach makes a full healthy veggies ground in the recipe. It is good for eyes, heart and also makes your stomach healthy. One should include Spinach in their weekly veggie goals. A perfect choice for healthy snacking for kids and teens. Chicken Harees is an amazing Arabic recipe. Many people from different countries cook it with variations. This recipe is Arabic style version here. This recipe is made in many countries like Middleast & India. 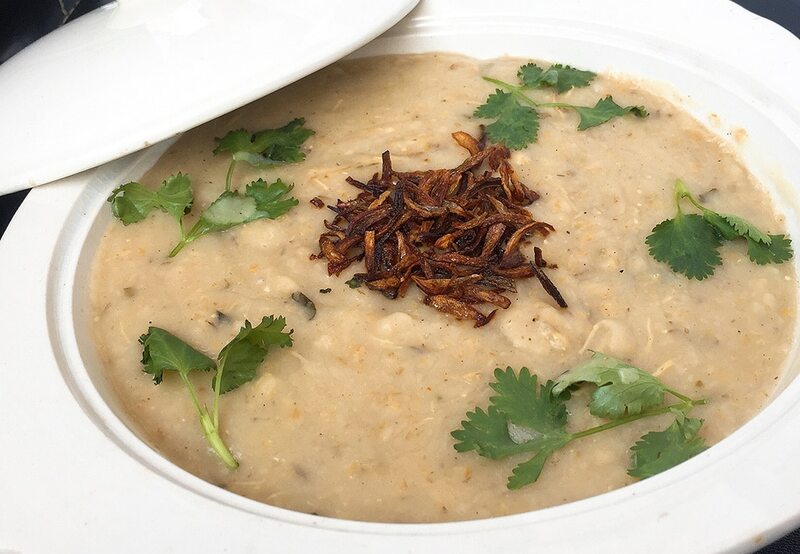 This recipe resembles Haleem or Khichda at presentation point of view. But taste wise it is very much different. It is never cooked spicy and uses chicken breast which has a high amount of protein. Fiber-rich food that helps to lower cholesterol and blood sugar levels, balances gut bacteria, and aids in natural weight loss. Your vegetarian diet gets justice if you include desi moong dal in your diet. Moong dal is an Indian recipe which is very easy to make. Additionally, it has 27% protein content and also iron which gives you nutrients that other vegetable diets fail at. A complete family food that is healthy and scrumptious too. 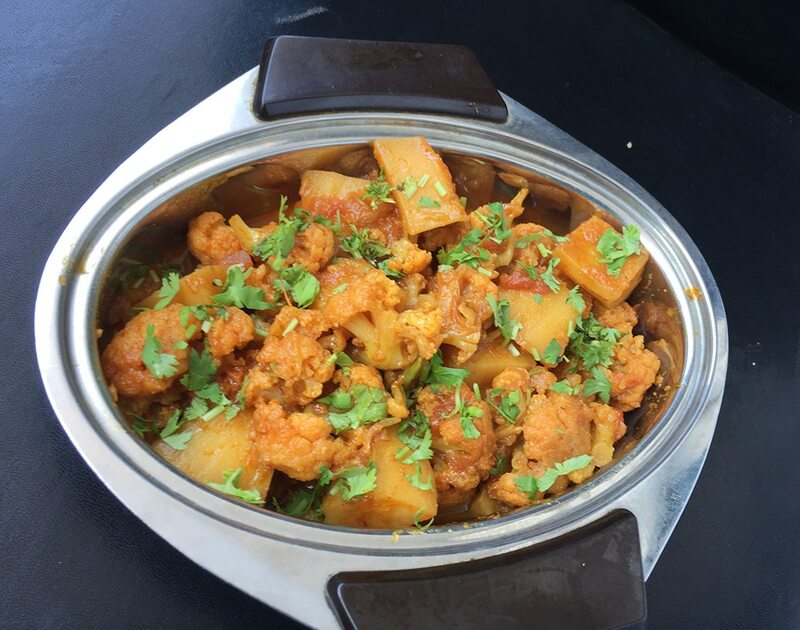 Aloo Gobi is one of the powerful nutrient sabji you should include in your weekly sabji making menu. It is the best sabji for easy digestion and has good nutritional value. Cauliflower keeps your bones healthy, reduces blood pressure and improves immunity. Good for adults, aged people & men. Kathiawadi Dhokli Shaak is an acclaimed Kathiawadi/Gujarati dish made with gram flour, buttermilk, veggies and a ton of at home fixings. The sauce made with yogurt doubles the taste and is cherished by everybody in the family. A complete staple diet and a tummy filling recipe. Great for weight gainers and easy on the stomach. So here is what we brought for you. Now it’s your turn. Let us know how helpful was this compilation to you. Take your pen and paper and set up your full week diet plan with these yummy and healthy recipes. If you have any question feel free to ask, our chefs will be happy to assist you. Our Motto – Eat tasty and healthy and not just healthy.